Surrounded with ample conservation areas, and located conveniently on route 978 Battle Ridge road in South Fayette Township, these single family home-sites will accommodate several custom home designs already created by J.N.D. Properties or your own custom home plans. Perceived by many as the best custom home plan in South Fayette Township, this first-class community will impress you. The homes are all custom and are predominately masonry construction. Currently, there are 8 choice lots still available. 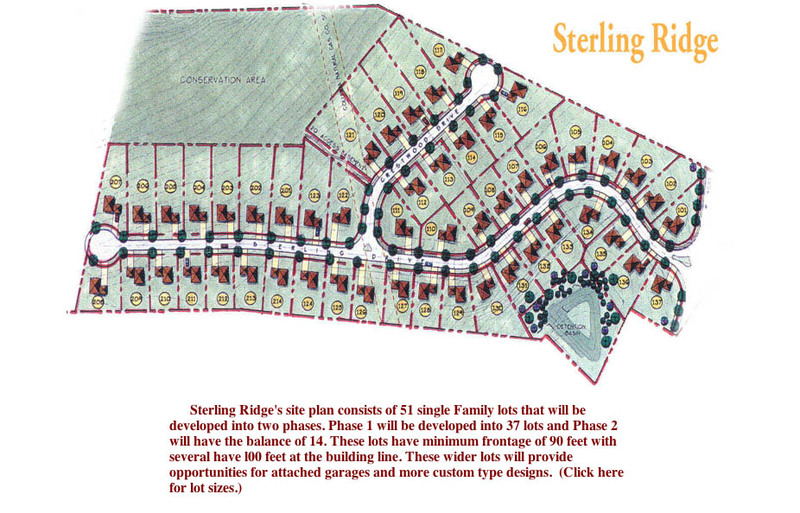 As always, these home sites are well priced given the values of the existing homes within the plan. As a result, Sterling Ridge have rightfully earned the status of the best value for custom construction within the Township. Please visit our model to see for yourself. Maria Lane from Coldwell Banker is our site representative. She can be reached at 724-554-8771.